Petra Cliffs SumMAT Camps are among dozens of camps and schools that exhibited at the 16th annual Kids VT Camp & School Fair in February. Our “Spotlight” series offers a closer look at those participating programs. Looking for a better alternative to having your kids climb the walls in your house this summer — literally or figuratively? The SumMAT day camps run by Petra Cliffs provide a suitable outlet for active youngsters. 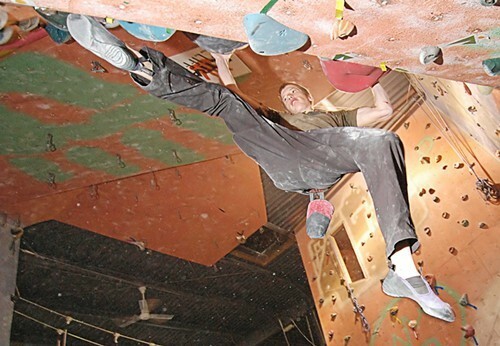 A day at Petra Cliffs revolves around indoor and outdoor climbing, but also incorporates elements of kayaking, caving, ropes courses and swimming. And for the youngest campers, sailing is offered through the Lake Champlain Community Sailing Center. No prior climbing experience? No problem. All programs are appropriate for all skill levels. Petra Cliffs also runs several overnight expeditions, ranging from the four-day Vermont Jr. Expedition and its girls-only equivalent, Girls Rock!, to the 10-day New England Adventure Expedition, which features trekking, climbing and sea kayaking in Vermont, New Hampshire and Maine. “Probably the coolest thing about a Petra Cliffs camp is that these are all things you don’t usually get to do on your own — most kids can’t just say, ‘Hey, let’s go rock climbing, or go deep down into a cave today.’ This gives kids a chance to get all these new experiences in a controlled environment,” Charest says. SumMAT day camp sessions run weekly from June through August. 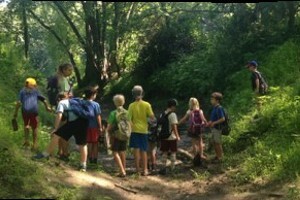 All but the expedition programs are day camps for ages 6 to 14. Visit petracliffs.com for more information. This post was written by Kids VT contributor Lindsay J. Westley. She profiled several other specialty camps in our March issue — read the story here.